Yoga combines postures (asanas), breathing (pranayama), hand positions (mudras), mantra (chant) and meditation to release tension from the body, to build physical strength, endurance and flexibility, and to clear and focus the mind. 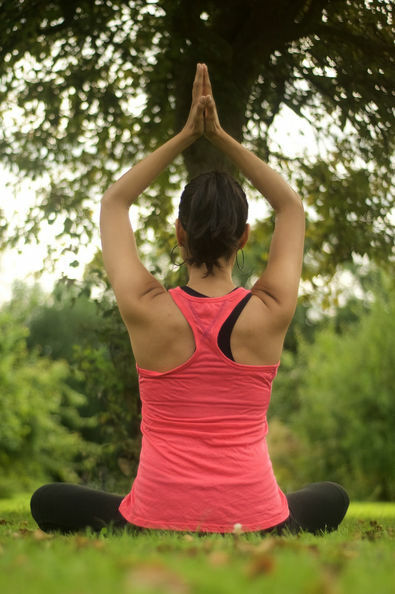 Practiced regularly, yoga can help maintain good physical health and a sense of balance and wellbeing. Undertaken diligently and repeatedly over an extended period of time, yoga also is likely to change more than muscle tone and flexibility. It can alter many things, including the way one looks at diet, time management skills and activities, and overall values and lifestyle. Yoga is an ancient methodology that was developed in the East many centuries ago. It was designed to support and enhance religious practice, which relied heavily on silent meditation. But the creators of yoga did not intend for it to be perceived as a stand-alone religious practice. Beginning the practice of yoga today is not a signal or request for conversion to any Eastern religion. But it does represent an opportunity for change. Any new physical activity, be it running, walking, tennis, etc., will change how we view our bodies and our priorities. Yoga is no different. The postures, breathing and repetition of chanted syllables in yoga are a means of cleansing the body and mind. Yoga can have deep and far-reaching benefits, whether to prepare for the practice of meditation, or to reduce the emotional and physical effects of everyday stress, and enhance mental clarity in our secular lives.